Over the last several years, oil and natural gas production within the United States has exploded. It was known that these resources were trapped in shale rock, but until recently there was no way to effectively reach them. But with new technologies and improvements, the drilling technique fracking became an economical and viable way to extract these resources. And as this extraction became possible, people flocked to shale-heavy regions looking for work. States like North Dakota and Kansas watched small towns blossom into boomtowns. Populations increased by the thousands. And oil fields that had previously lost potential, or gotten close, were once again profitable. Fracking lit up the energy news as it created a huge growth in domestic energy production. Hydraulic fracturing, or fracking, began in its most familiar form in 1947, but only recently, after numerous improvements and advances, has it entered the spotlight in its use on the shale formations across the United States. These plays are being developed, though not in all areas. Some states are still weighing the benefits against the risks in deciding whether to allow drilling to proceed. Because, as with most things, there are two sides to the story. Advocates for fracking have praised it as the road to energy independence. Between 2010 and 2011, when the arguments really ramped up, U.S. oil imports decreased by 3% according to BP's Statistical Review of World Energy. And oil and natural gas exploration companies continued to release new estimates on technically recoverable resources in their drilling regions, boosting the projection of shale gas and oil potential in the U.S.
Due to fracking technology, the U.S. had an estimated 482 trillion cubic feet (Tcf) of technically recoverable shale gas, according to the EIA. Fracking also became a major job creator, actually bringing the unemployment rate of the town of Williston, North Dakota, which sits atop the Bakken formation, to just above 1%. There are currently millions of frac jobs today. And supporters continue to make the claim that burning natural gas is much cleaner than burning some dirtier fossil fuels like coal. Of course, there are still emissions, but they are greatly reduced. And since renewable power sources will need some time before they are able to compete with fossil fuels, natural gas is a good alternative. But many environmentalists refuse to support hydraulic fracturing. For all its benefits in increasing domestic production, fracking has raised a number of environmental and health concerns. Because of the high chemical levels contained in fracking fluids, opponents are concerned that these chemicals may leak into groundwater. This has been the case in some situations, often due to leaks from weak well construction. Companies are not required to disclose the chemicals involved in the injections, and so many worry about exposure to these unknown, potentially toxic substances. Fracking uses very high amounts of water which, in addition to consuming millions of gallons of water per well that might be needed elsewhere, turns into millions of gallons of wastewater containing chemicals. Earthquakes have occurred in areas with fracking wells. Though they're often very small, these sorts of man-made tremors have worried environmentalists and residents alike. Vermont became the first state to ban fracking completely. Though this ban affects no existing shale plays, some believe it may set a standard for states that are debating the fracking issue. While there's no doubt that fracking can be controversial, I can tell you one thing that it positively changed... It's gotten the U.S. out of OPEC's chokehold. Former Texas governor Rick Perry said this at a conference in Houston in 2015. He was referencing the clout of OPEC within the global oil trade and the fact that the U.S. was beholden to the whims of the group. Many thought it was a fool’s hope. And U.S. shale producers jumped in feet first, suddenly, with the advent of fracking technology they were able to produce more (and cheaper) than ever before. Since then oil has been on a rollercoaster of ups and downs. In early July, crude prices reached a seven-month low, currently sitting just above $44 a barrel. For months, we’ve seen oil trade around $50 per barrel, desperate for support. The question is, who can afford to produce under such low prices? But the U.S.? That’s another story. The U.S. actually increased rig counts last week, to 952 active oil and gas rigs (up more than 500 from this time last year), while boosting production to more than 9.33 million barrels of oil a day. The cost to build and operate wells in the oil-rich U.S. shale basins has decreased (due to fracking) by millions over the past few years. This means that certain U.S. shale producers can make a profit when crude prices are trading between $40-50 per barrel. The U.S. has nearly doubled oil production in the past nine years and is producing more than any other country. The U.S. isn't the only one making use of fracking technology. The U.K., where fracking has been controversial topic, has just allowed a local company to drill a set of wells for the first time since the company created a small earth tremor after drilling in 2011. This will set the path for other companies to use fracking technology in the U.K., possibly creating a similar shale boom to the U.S.
That's all thanks to fracking. So no matter which side you fall on in the fracking debate, you can be certain that it will probably be around for a while. 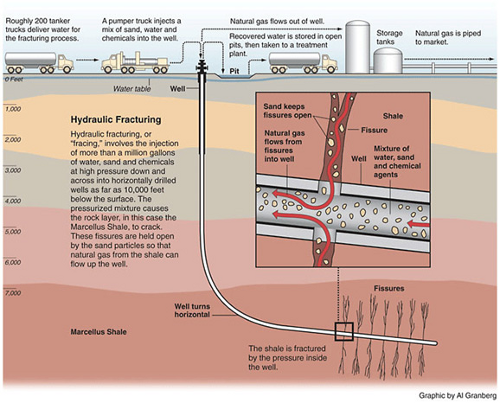 Is Hydraulic Fracturing Facing More Regulations? Energy and Capital editor Keith Kohl discusses the difficulties of enforcing the hydraulic fracturing rule in Wyoming, and the implications of an injunction that follows these problems. 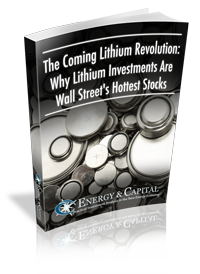 Keith Kohl highlights two different ways investors can cash in on new fracking investments.